Did I ever mention my favorite color is orange? Not that has anything to do with much of anything. 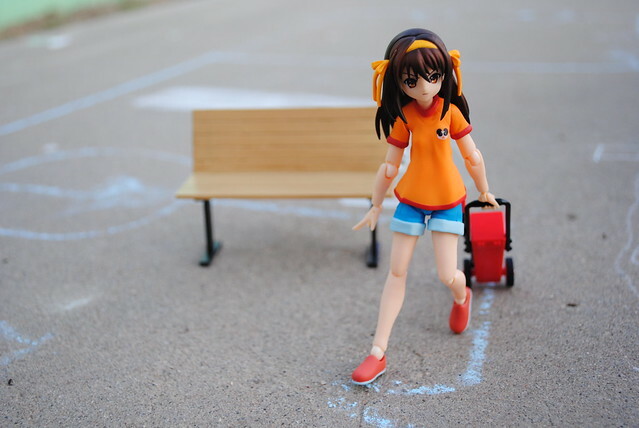 Previously I mentioned how I started to enjoy taking figmas out with me again. 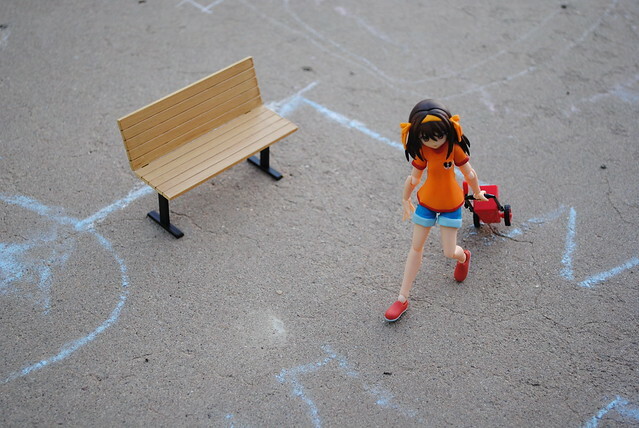 I also mentioned how I no longer felt embarrassed taking pictures in public either. In retrospect I lied a bit, there was still one group of people I would still feel awkward when taking pictures. After all unlike some strangers that I will probably never encounter again this group I frequent quite often. Namely, my family. I don't mean just my immediate family but my extended family: uncles, aunts, cousins, grandparents, etc. Like I said before unlike people who I most likely will not encounter again, my family I see time and time again. Their opinions and reactions to this hobby do matter to me. Long story short, much like before I suddenly noticed not even with my family do I feel embarrassed anymore. 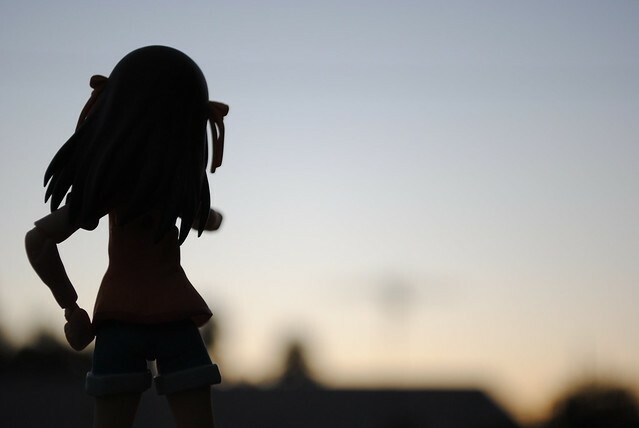 If anything it's more troublesome to me to explain why I take pictures, why I take the pictures I do, why I take pictures of figures or why I like a figure I own. As for my family while they do find it odd, they don't think much of it. They are even supportive of me and compliment my pictures once in a while. 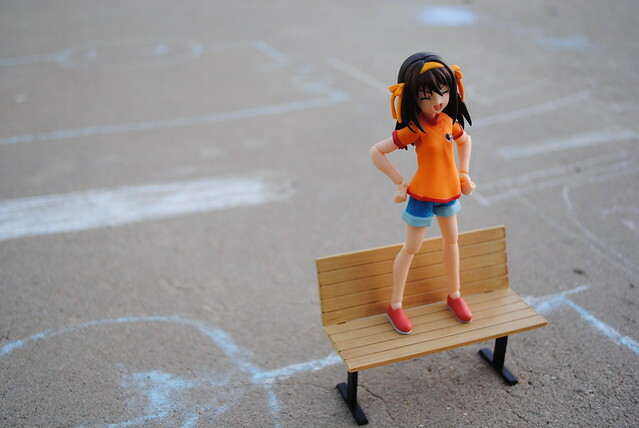 Much like Haruhi above I'm feeling content about this whole taking pictures of figures issue now. I will continue to do so as the situation arises for a while longer at least. 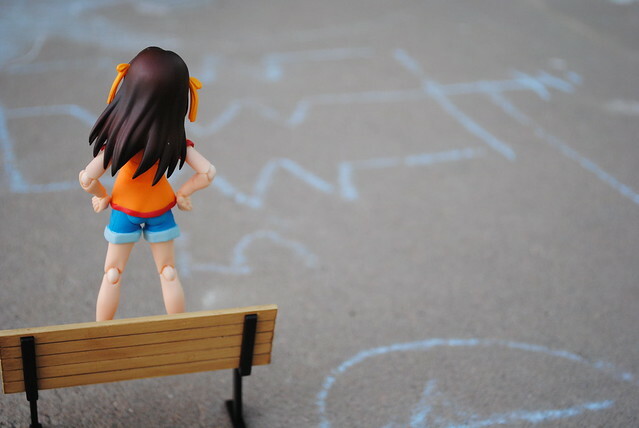 Speaking of which, why is Haruhi looking content too and what was she up to anyways? Shoot, and I will move!! !